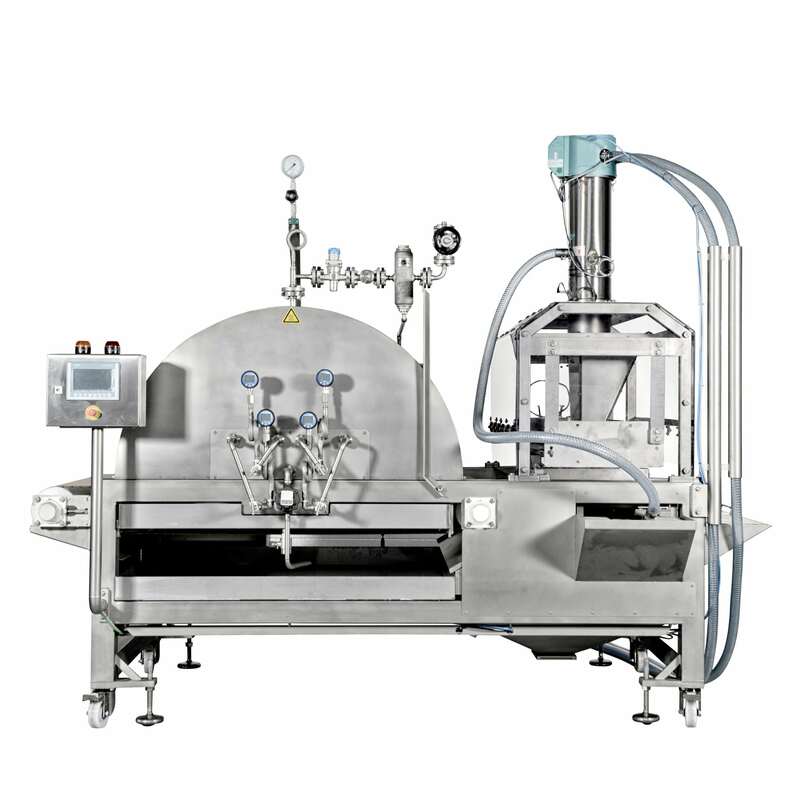 Our high quality sugar sanders provide even distribution and great bonding of the sugar coating; they are easy to clean and fully automatic. The extruded product is guided onto a vibrating bed of sugar, whilst simultaneously being showered from above by a curtain of fresh sugar. The excess is then collected and recycled after the sanded product is gently hit by a an excenter bar. Some products, like belts, require 180 degree turning in order to avoid excess sugar from getting onto the belt of other equipment on the line.The Extrufood sugar sander simply guarantees the best sugar coated products available. Additionally, we are experienced with various other mixes used for dusting or sanding extruded confectionery products apart from granulated sugar.